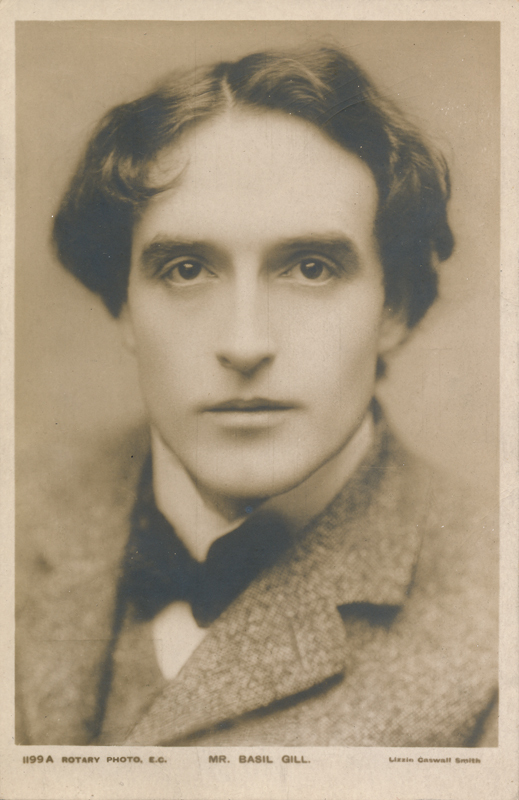 Basil Gill’s first stage appearance was in Wilson Barrett’s The Sign of the Cross. 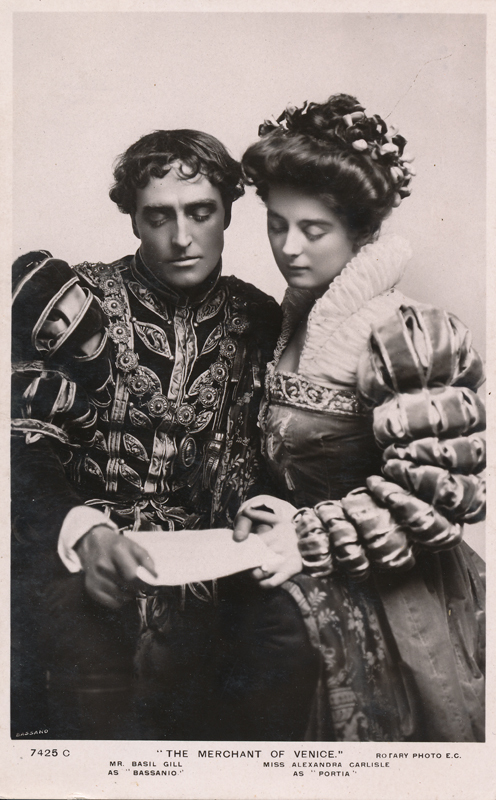 After touring in Australia and the United States, he had his chance to play Shakespeare when he joined Sir Herbert Beerbohm Tree‘s company in 1903. 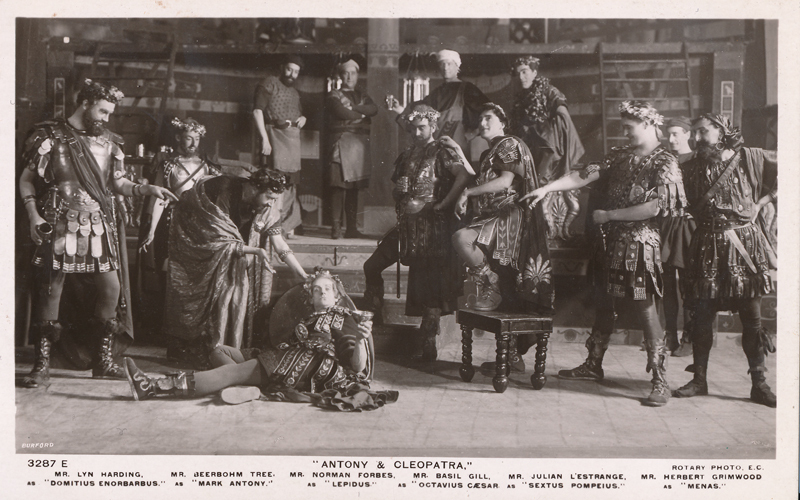 He stayed with Tree until 1907, and during those years he played in Richard II, Fenton in The Merry Wives of Windsor, Ferdinand in The Tempest, Claudio in Much Ado About Nothing, Horatio in Hamlet, Brutus in Julius Caesar, Orsino in Twelfth Night, Florizel in The Winter’s Tale, and Octavius Caesar in Antony & Cleopatra. This range of parts offered Gill do not occur often in an actor’s life. 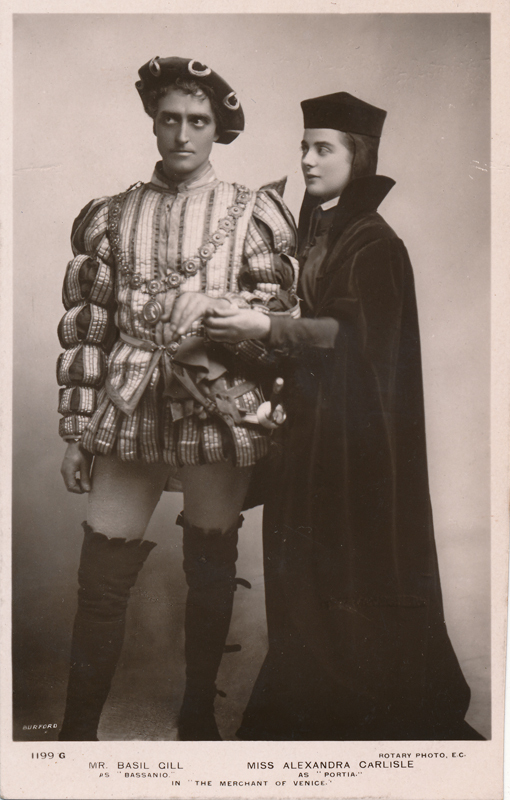 After he left Tree, he still performed in many of Shakespeare’s plays. 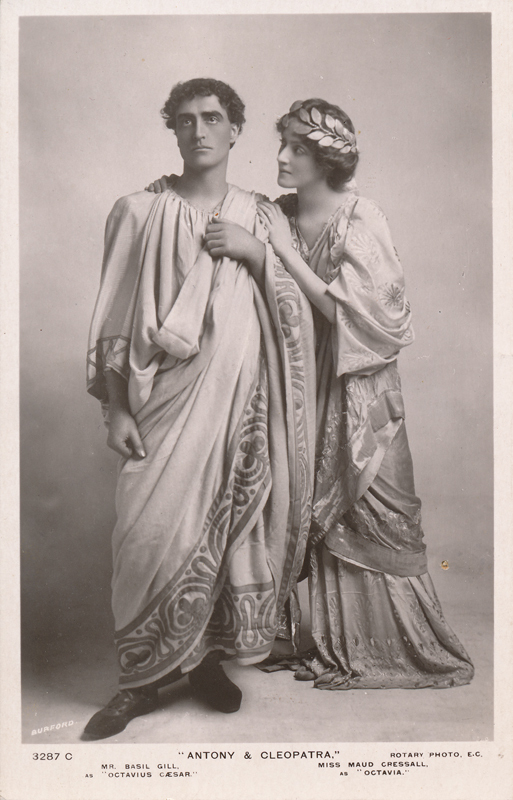 Gill performed in so many that it is simpler just to list them: 1908, Bassanio in The Merchant of Venice; 1910, Henry VIII, A Midsummer Night’s Dream, and Julius Caesar; 1911, Malcolm in Macbeth; 1912, he played in revivals of many of the parts he had played before; 1913, Bassanio in The Merchant of Venice with Johnston Forbes-Robertson; Twelfth Night, and Julius Caesar; 1914, Henry IV; 1915, Henry VIII; 1916, played in Julius Caesar for the Shakespeare Tercentenary at the Drury Lane Theatre; 1616, Romeo; 1920, Julius Caesar; 1926 and 1928, Macbeth; 1932, he twice played Brutus in Julius Caesar; 1933, As You Like It, A Midsummer Night’s Dream, and Twelfth Night; 1934, Henry VIII, Julius Caesar, and The Merchant of Venice; 1935, The Merchant of Venice and Macbeth; 1936, Richard II and the ghost in Hamlet. He was a handsome leading man, something of a matinee idol, so he played romantic parts in many contemporary “popular” plays as well. 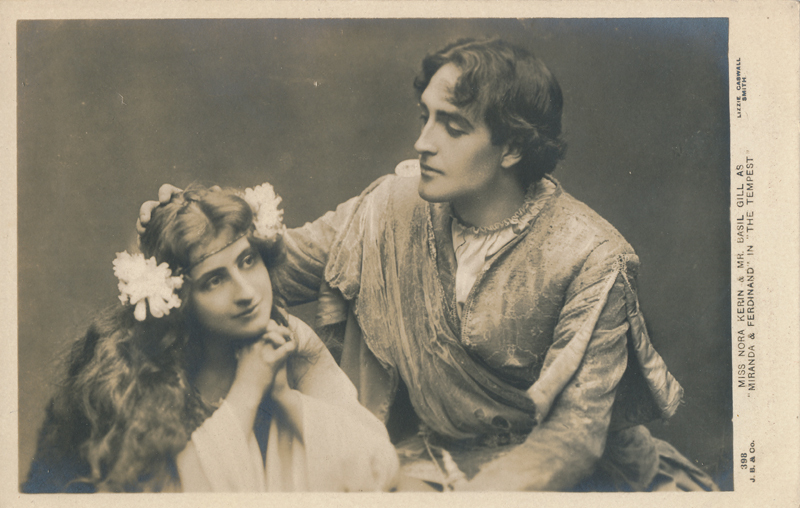 But he was best known as one of theater’s leading performers of Shakespeare for almost four decades. He also played in thirty-five films during his career. His first part was in 1911 when he played Buckingham with Sir Henry Beerbohm Tree as Wolsey in Henry VIII; his last film was in 1939 and it was in the late 1930s he played in two popular movies, Journey’s End and The Citadel.